•	The capital city of the autonomous community of Catalonia will also support a mix of both business and leisure traffic from Suceava Airport, considering Spain is one of the most preferred countries for Romanian people working abroad. •	Barcelona was selected by around 45% of respondents at the interview conducted by the airport. 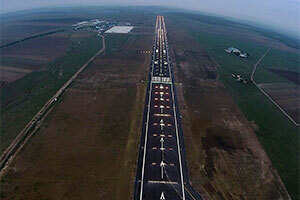 Considering the main competitors of the airport, Iasi and Bacau do not provide direct operations to Spain and subsequently to Barcelona, the addition of the Spanish destination from Suceava is classified as a niche to be exploited. •	According to the regional analysis conducted on the airport’s catchment area, Iasi County tops the ranking with 54% of respondents selecting Barcelona, followed by Suceava County (48%), Botosani and Neamt Counties (both with 44%). •	Taking everything into consideration, the airport identified Barcelona as an ideal choice for its passengers. 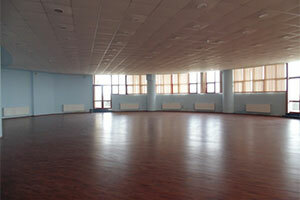 Ideally, this sector should be flown thrice-weekly or four times weekly from Suceava Airport. •	Starting from 1 January 2014, Romanian citizens can work without any restrictions in the UK. •	In the first three quarters of 2014, passengers flying to London grew by 4.2%, when compared to the corresponding period in 2012. •	Suceava Airport conducted an interview at a regional level to identify the most popular destinations among people from the area. Around 34% of people that were interviewed within the Suceava region have identified London as a destination for travelling abroad. •	Interestingly, the travel intention to London recorded for Suceava (38%) and Botosani (38%) counties exceeds the figure noted at the regional level (34%). 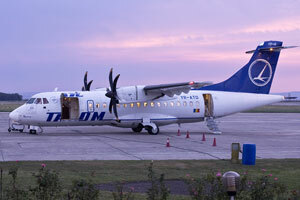 •	The introduction of scheduled operations to London from Suceava Airport could reorganise the regional geographical distribution of passengers traveling to the UK capital based on local demand, with regards to the competing airports (Cluj-Napoca – daily, Bacau – five times weekly, Targu Mures – five times weekly and Iasi – twice-weekly). •	The travel intention to Paris from Suceava (17%) is the same as the figure recorded at the regional level (17%), while the one noted for Botosani (21%) is marginally higher. •	The travel intention to Rome from Suceava (23%) and Botosani (24%) exceeds the figure registered at the regional level (21%). •	The introduction of scheduled operations to Rome from Suceava Airport could reorganise the regional geographical distribution of passengers traveling to the Italian capital based on local demand, with regards to the competing airports (Bacau – daily, Cluj-Napoca – four times weekly, Iasi – thrice-weekly and Targu Mures – twice-weekly). •	Around 20% and 9.5% of interviewees from Suceava and Botosani respectively, classified Vienna as a preferred destination, while the Austrian capital was chosen by 15% of respondents at regional level. 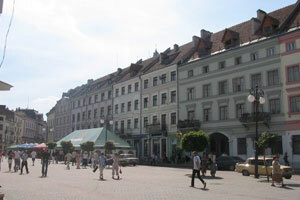 Tourism in Suceava is characterised mainly by historical attractions such as the 14th century Princely Court of Suceava (perhaps better know as Curtea Domnească din Suceava), having its ruins located in the city centre of Suceava. 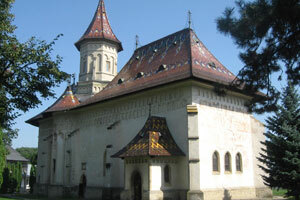 One of the most important cultural sites in Suceava is Saint John the New Monastery, which includes the monumental Church of Saint George built between 1514 and 1522. Suceava Airport is also the primary gateway to Bucovina – an area with a great tourism potential, which is renowned for the beautiful exterior frescoes on the walls of its monasteries. These triumphs of Byzantine-influenced art reflect a development of Moldavian civilisation in the 15th and 16th centuries, under the patronage of Stephen the Great. In 2014, Suceava County placed itself on the 10th position in the Romanian counties hierarchy based on the number of tourists arriving in the region. Located in northern Romania, close to the Ukrainian border and once the capital of Moldova, Suceava has some great historical attractions, such as the 14th century Princely Court of Suceava and several medieval Romanian orthodox churches. 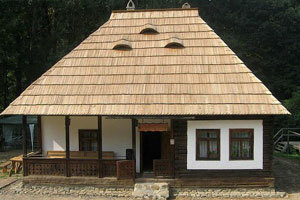 The Bucovina History Museum and the Bucovina Village Museum are also popular among tourists. 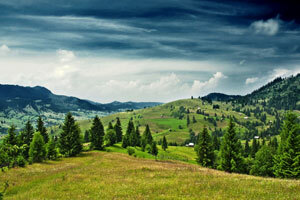 Bucovina is among the most attractive tourist areas on Romania’s map. It is not by chance that this area, which is worldwide famous, was honoured by the International Federation of Tourism Journalists and Writers with the international “Pomme d’Or” prize in 1975. The ancient architectural monuments contain internal and external frescoes that were appointed by UNESCO and admitted to the list of universal art monuments. Suceava Airport has just completed implementation of the project “Modernization of the movement area and beaconing, control tower and landscaping for the location ILS navigation system type”. On 25 October the first flights operated from the new airport. According to the interview conducted on the regional population by the airport, around 94% of the respondents expressed their intention to travel by aircraft for the purpose of travelling abroad or internally in the next 12 months. Analysis of the interview’s results reveals that the most preferred destinations for flying abroad are London, Paris, Rome, Barcelona, Milan and Vienna. 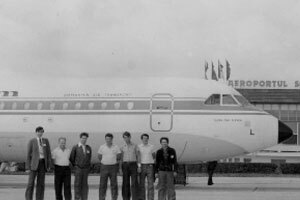 Suceava Airport’s route development and marketing team is fully dedicated to the development of your airline business, marketing plans and promotion of your products. We offer a variety of support to welcome and promote new routes, such as: press releases and announcements; flight opening press conferences; activities related with an inaugural flight; press trip in cooperation with tourist boards; and workshops with travel agencies. PR support: billboard/outdoor; radio and broadcast; and a variety of experiential events. Airline incentive program. Please contact us for further details on the Airline Incentive Program. Suceava Airport offers a catchment area of around 2.5 million dwellers, out of which 68% are located within the Romanian territory, while the rest makes of people living across the border in Ukraine. 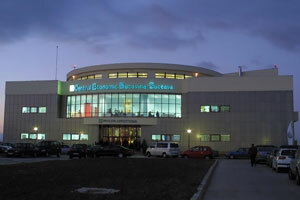 Besides Suceava and Botosani, the airport also serves an array of cities or regions in Ukraine, such as Cernăuți and Ivano-Frankivsk. The catchment area of Suceava Airport caters for around 2.5 million dwellers, 68% accounting for the population within the Romanian territory, with the rest being located across the border in Ukraine. Firstly, there are the persons involved in the international circular migration flow. These people are generally characterised as people that decide to migrate in order to seek a better job, to increase the living standard of their families in Romania. Secondly, we can see a tendency towards family reunions outside the borders of Romania, in the emigration country. Therefore, this situation determined the occurrence of the VFR type of tourists (Visiting-Friends-and-Relatives). Thirdly, the business environment is another important factor in the catchment area of the airport. The business traveller tends to target the major international hubs that allows him to transit easily to further destinations. Suceava County features around 12,700 companies, while Botosani County has close to 4,800 businesses (according to the Trade Registry). 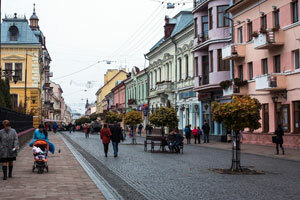 On the other hand, potential passengers from the catchment area within the Ukrainian territory are mainly the representatives of the business environment in the regions of Cernăuți and Ivano-Frankivsk. Considering the airport is located in close proximity to these regions, the Ukrainian business passenger sees Suceava Airport as an optimum option for travelling to destinations in Western Europe. 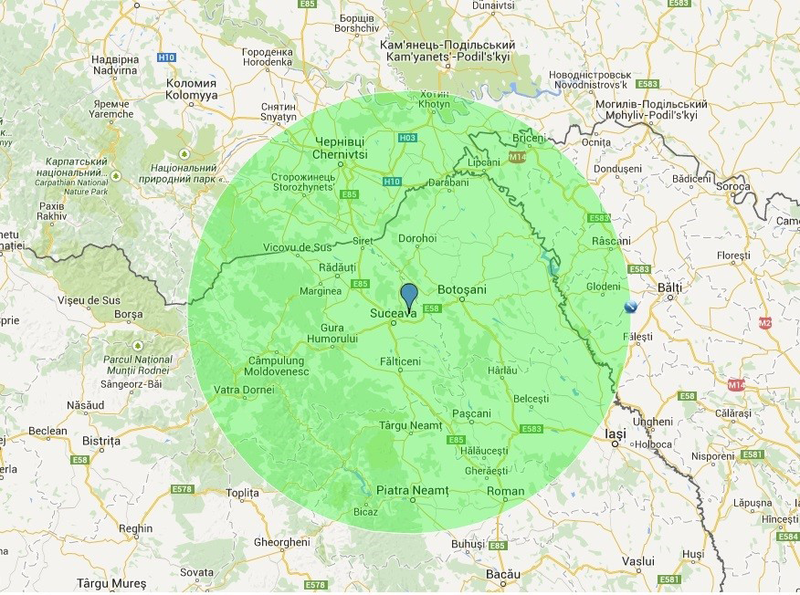 Suceava Airport is located in close proximity to Bucovina Economic Centre that was especially designed for start-ups and business development. 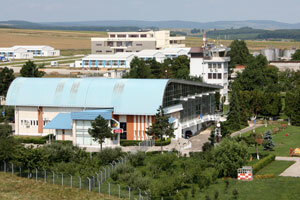 Furthermore, Betty Ice Suceava – one of the major ice cream manufacturers from Romania – is situated within the airport’s catchment area. All these generate freight and air travel-related opportunities from Suceava Airport. 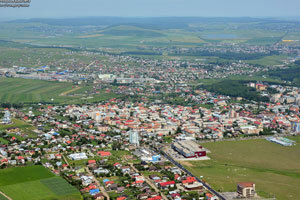 Suceava Airport features excellent potential for cargo intermodal transport. 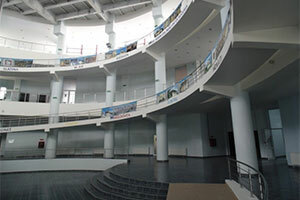 Exhibition centre (a building for show rooms). 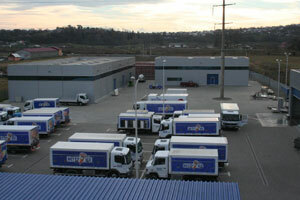 Betty Ice Suceava is one of the major ice cream manufacturers from Romania, having been located within Suceava Airport’s catchment area. Historically opened in 1994, the manufacturing facility can now produce up to 100 tonnes of ice cream per day. Sidem Suceava is a developer, manufacturer and distributor of high quality steering and suspension components, for the automotive replacement and original equipment market. Classified as the top business in Suceava County, the Romanian production plant (established in 2001) exports massively to Western Europe. Various still spring waters (Aqua Carpatica, Dorna, Bucovina and Poiana Negri to name a few) are harvested and produced in Vatra Dornei, situated in the historical region of Bucovina. Aqua Carpatica, which is derived from the Bajenaru aquifer, is currently imported by major retailers in the US, UK, Japan, China, UAE, Qatar, Kuwait, Bahrain, Saudi Arabia, Oman, Russia, Moldova, Germany and Hungary. Nowadays, the airport is open for traffic and has finished the implementation of the €39 million rehabilitation programme. With a new control tower and a runway of 2,460 metres, Suceava Airport is ready to cater for the growing market. We have one of the most modern airport infrastructures in Romania and we provide high quality services to passengers and air operators in a solid safety manner. Close connections to Suceava and Botosani cities. -two stands for aircraft with a wingspan of 36 metres. Strength: A, B: 110/F/C/W/T; and C: 73/R/A/W/T. Fuelling facilities: JET A1-1 refueling truck with a capacity of 19,000 litres. We have one of the most modern airport infrastructure from Romania, and we provide high quality services to passengers and air operators in a solid safety manner. 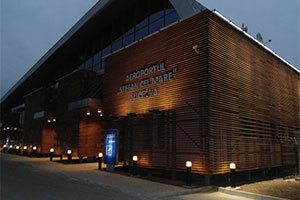 Suceava is the first Romanian airport that accessed European funds for modernisation. 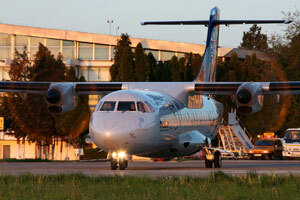 The airport has signed a financing contract for €39 million. 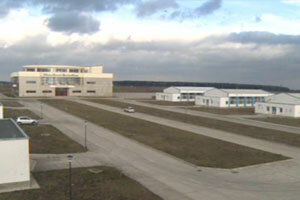 The rehabilitation programme has finished and the airport’s infrastructure is modernised. The great surprise is the transfer of a 85,628 square metres area (related to Bucovina Economic Centre that is situated next to the airport) in the management of Suceava Airport in order to arrange a new passenger terminal for departures, one arrivals terminal as well as two cargo terminals. 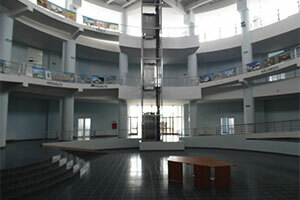 The area consists of: an exhibition pavilion, four industrial pavilions and a land of 64,382 square metres. Work has already started in the exhibition hall (4,510 square metres) to modernise Terminal 2, which will only serve aircraft operating on international links. The existing terminal (upgraded in 2015), was renamed Terminal 1 and will only serve domestic flights and VIP services. The four industrial pavilions will be arranged as follows: two of them will serve the cargo activity, and the other two will merge together into a big arrival terminal that meets all European requirements. Each of the four pavilions has a an area of 8,368 square metres. This development will increase the volume of services provided by the airport in safe and regulated quality conditions. Terminal 2 is built on three levels (ground, first and second floor) and will become one of the most advanced terminals in the country. The 1,670 square metres ground floor area will include landside, passenger flows, group rooms for boarding and transit area. The first floor (1,670 metres square) will be a waiting area equipped with last minute facilities: duty-free shops, restaurants, exchange, coffee shops, recreation areas and others, so that the time spent by passengers in this area would be enjoyable. The second floor (1670 metres square) will serve as offices designed for the airlines, customs, border police, in order for employees to coordinate, supervise and manage the performance of the services provided by the airport authority. According to data analysis, the north-eastern part of Romania is classified as the fourth developing region in the country, based on the passenger traffic recorded. The three factors that contribute to the development of air traffic in the region are: circular migration of population, the tourist interest raised by the area of Bucovina and the business environment. People in the northern counties record the most important external migration waves. Tourism in the area noted an increase of 7.9% this year, when compared to 2013 figures. 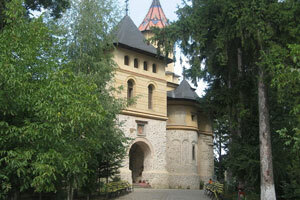 This has placed Suceava County as the 10th most visited region by Romanian citizens. Blue Air with flights to Cluj-Napoca (internally) and Rome, Vienna as well as Venice (internationally). Please see bellow Suceava Airport’s updated charges. Note: the fees are without VAT. -35% for at least eight landings made/month. 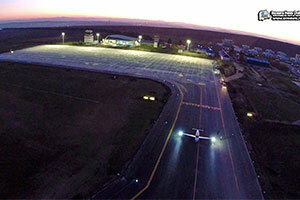 Parking -€0.20/tonne/hour - This charge is applied after three hours from landing time. -€0.10/tonne/hour - This charge is applied after three hours from landing time.